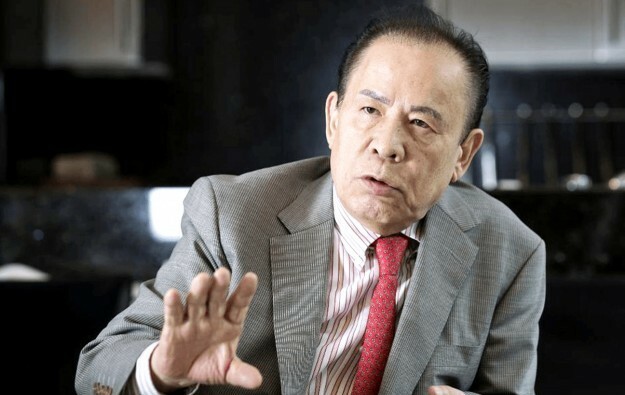 The Philippine Department of Justice (DOJ) has dismissed one count of fraud against Japanese billionaire entrepreneur Kazuo Okada (pictured), related to a US$7-million contract to supply LED fittings for Okada Manila casino resort in the Philippines. Such claim had first been dismissed by the Parañaque City prosecutor’s office in May 2018. The case had been originally filed in January last year by the promoter of Okada Manila, Tiger Resort, Leisure and Entertainment Inc. The company alleged that the US$7-million supply contract was given to Aruze Philippines Manufacturing Inc (APMI) due to pressure from Mr Okada, supported by another associate, Kengo Takeda, who was at the time chief technology officer of Tiger Resort, Leisure and Entertainment. The lawsuit also named APMI and its president, Tetsuya Yokota, as defendants. In a 10-page document made public last week, the assistant state prosecutor Alejandro Daguiso said Tiger Resort, Leisure and Entertainment failed in the lawsuit to prove conspiracy between Mr Okada and the other respondents mentioned. The prosecutor said additionally that the lawsuit failed to provide evidence related to criminal fraud. “We find that there is no probable cause to conclude that criminal fraud occurred, absent any additional evidence that can refute the assertion that the complainant’s officers actually knew about the involvement” of a third party for the production of the LED strips, said the DOJ decision. Mr Daguiso wrote: “While this case appears to be a business decision gone wrong due to the lack of any due diligence on the part of the complainant, the latter is not precluded from going to court on the basis of civil liability for possible damages … The cause of action for such proceeding is likely breach of contract, but not criminal fraud, as we find the latter lacking in evidence”. “This office resolves to affirm the resolution of the Office of the City Prosecutor of Parañaque City dated 15 May 2018 that dismissed the present complaint for lack of probable cause,” he added. Mr Okada still has to answer to another fraud case, as confirmed by the DOJ. A court in the Philippines ordered the arrest earlier this month of the Japanese entrepreneur for allegedly misappropriating more than US$3 million from Tiger Resort, Leisure and Entertainment.